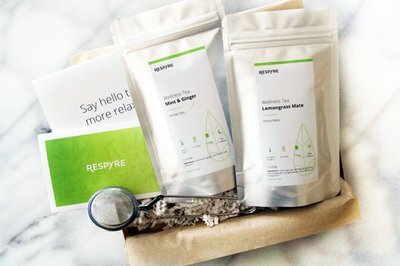 Enter your email address below to receive a notification when Respyre starts accepting new sign-ups! Enter your email address below to receive a notification when Respyre is accepting new sign-ups again. Next box ships on April 27. Future boxes ship on the 27th of every month. To send a gift, select the "Wellness Tea Box Gift" option to include a handwritten message and a $10 gift card. 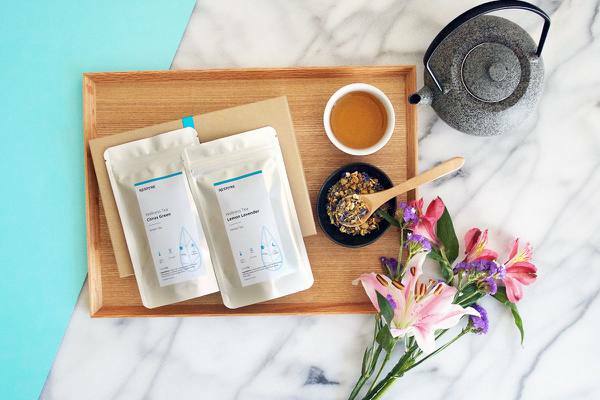 Every month, discover two loose leaf teas crafted with the finest ingredients known for their wellness benefits. A delicious and relaxing way to discover new flavors, step up your routine and support your well-being. The perfect care package for yourself or as a gift. Contact us if you'd like to order a tea infuser to your box or gift card. 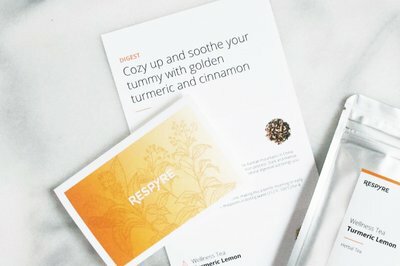 A new theme every month: Sleep, Digest, De-stress, Immunity, Detox, etc. My son got me a three month subscription for Christmas. I liked tea but was not as fanatical as he is about it. I think I've changed my mind. The teas I have received are wonderful and interesting. Each box has tea for different uses - sleep, focus, etc. The box is beautiful. Just when I forget about it, there it is on my doorstep. Unfortunately, tea isn't the only thing I drink so I still have quite a bit. It would be nice if there was a quarterly option or every two months for folks like me. Good job! Great service. Wonderful product. 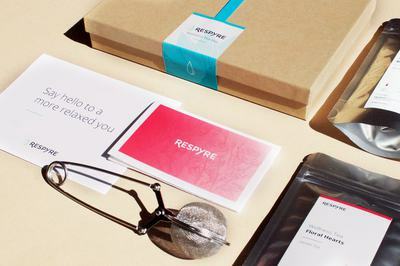 Respyre was the first subscription box I ordered for myself, and I couldn't be happier with it. Recieving the box at the end of each month is a wonderful pick-me-up which carries over into both work and home life. 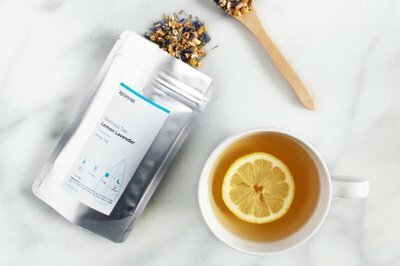 My first box arrived at the end of December (2018) with a Winter Mint and Chai tea pair, and I'm not exaggerating when I say they were the best loose leaf teas I've ever had. Not only are they delightfully fragrant but the taste of each tea is pronounced and bold without being overpowering. 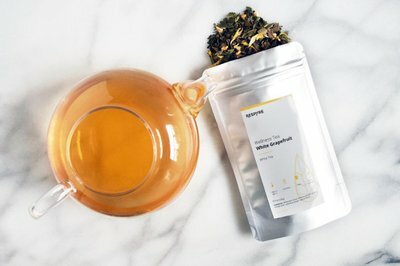 The quality of the tea is amazing, and I've never had shipping problems. It's obvious the people of Respyre want to give you an excellent experience, so I have to say thank you for making this something I look forward to each month. Recently subscribed & received my first box. I am very pleased. I opted for herbal only & received two bags of turmeric lemongrass tea. I really enjoyed it.